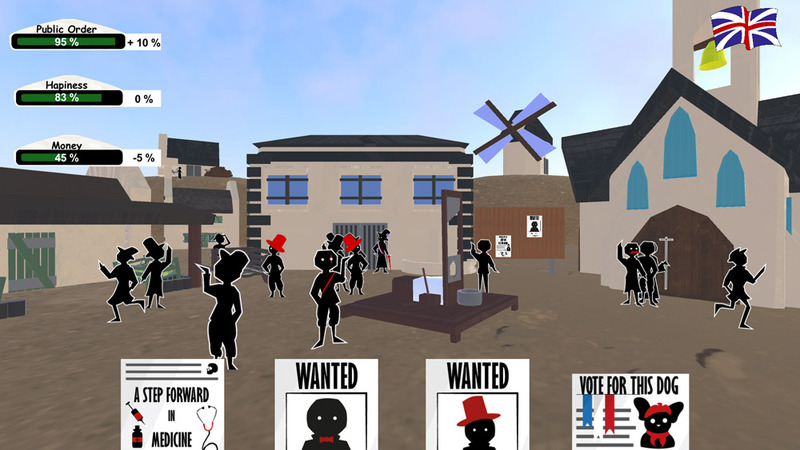 "A strategy game that's a reflection on society"
Paper Town is a curious little strategy game where you play I suppose the mayor or simply some kind of civil servant in a small town, not sure why but the town felt as if it was in France (perhaps it was the guillotine in the middle of the town square) and your only control over the town is the posters and flyers you can place on the wall at the back of the town square. 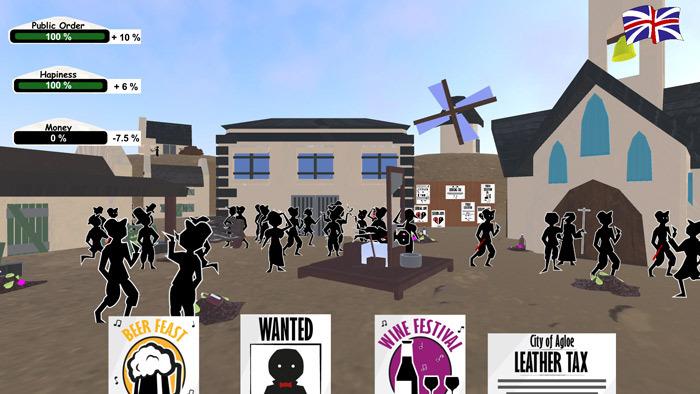 Each of these posters will have different effects on the three different things that you must provide the townspeople which are happiness, public order and of curse money, so for example putting poster up stating there will be a leather tax for example will increase the money but decrease happiness and public order, putting up a flyer that says that there will be a wine or beer festival will increase happiness but decrease your money and perhaps public order depending on how it goes! 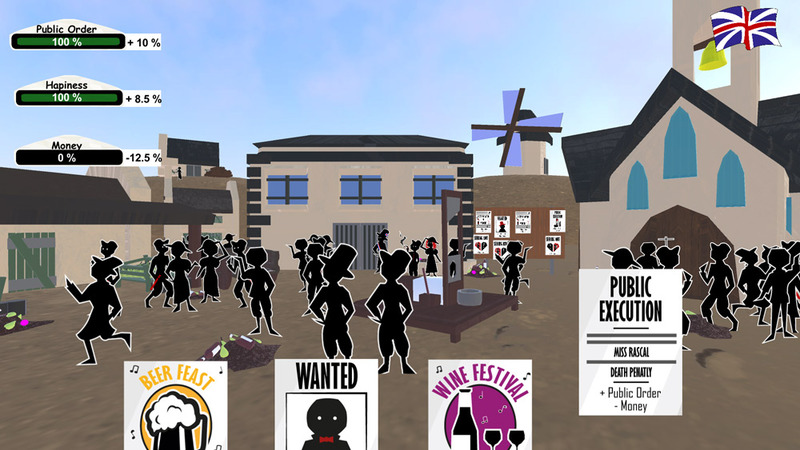 You will also be able to witness public executions after advertising them which will really help keep the public order in check! The game is very interesting with its take on society although perhaps a little behind the times, it’s a funny little strategy affair that’s not too challenging at the start at least, although the control responses can be a little slow and frustrating but otherwise this is an incredibly unique, different and thought provoking game that people who like something a little different should enjoy a lot. You can download Paper Town here for free.